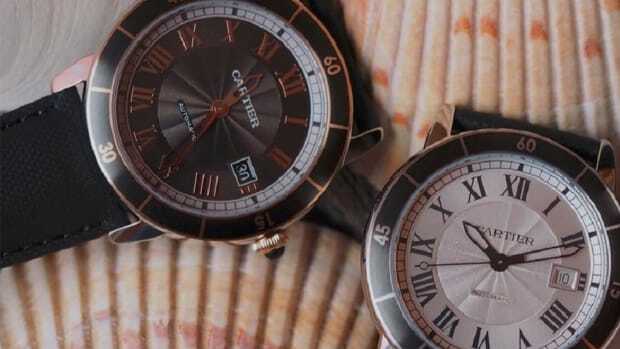 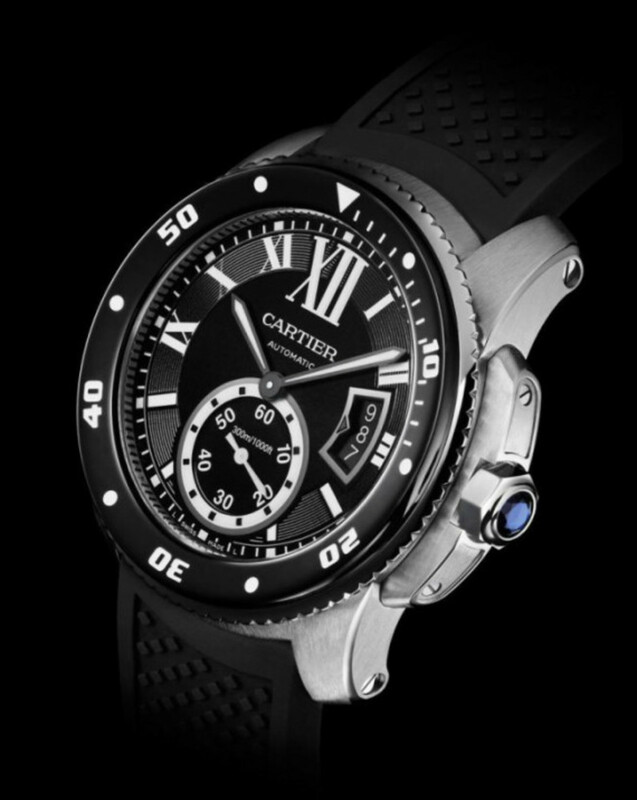 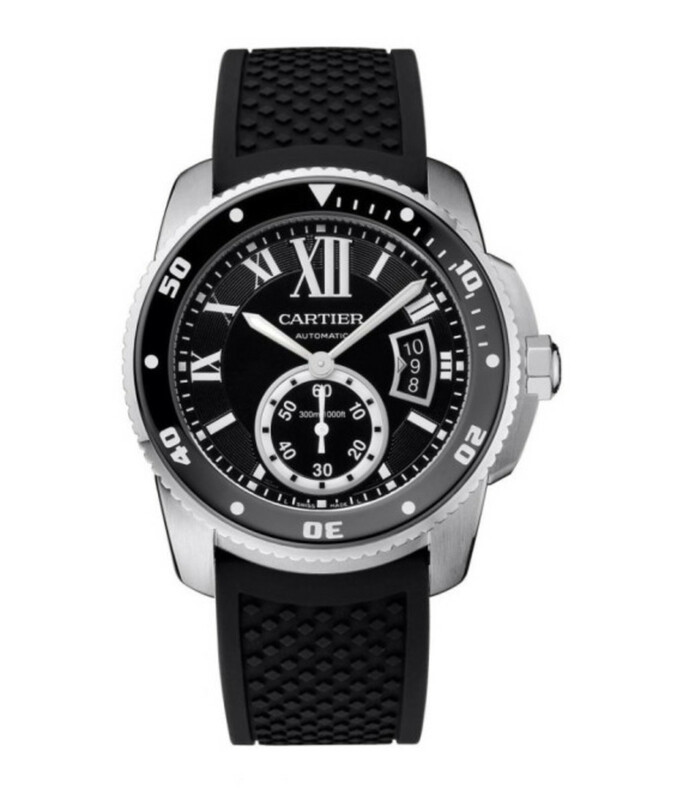 Coming in 2014 is this Calibre de Cartier Diver, Cartier&apos;s first foray in the sports watch market. 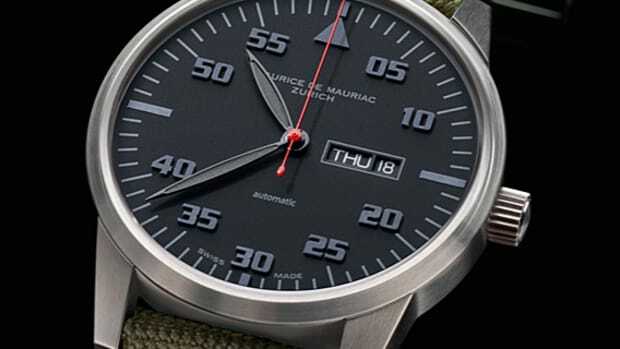 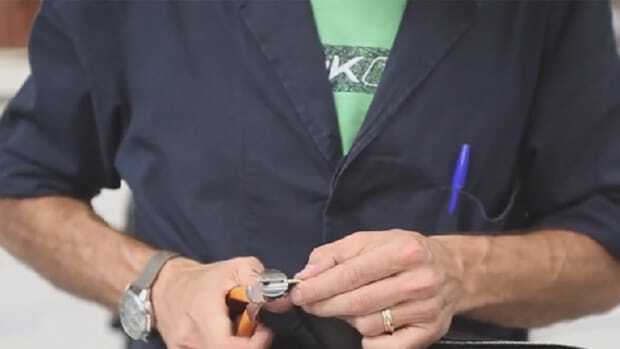 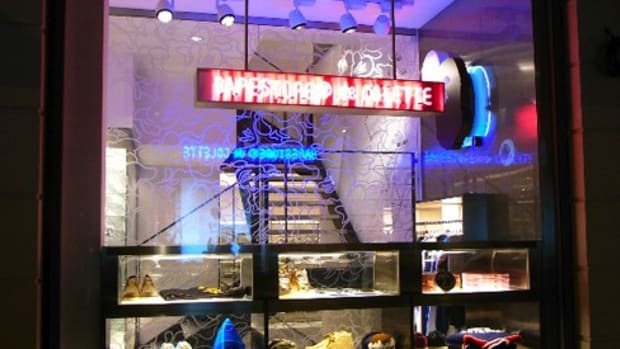 Featuring the French brand&apos;s signature high-quality characteristics, the piece meets the technical requirements of the ISO 6425 diver&apos;s watch standard. 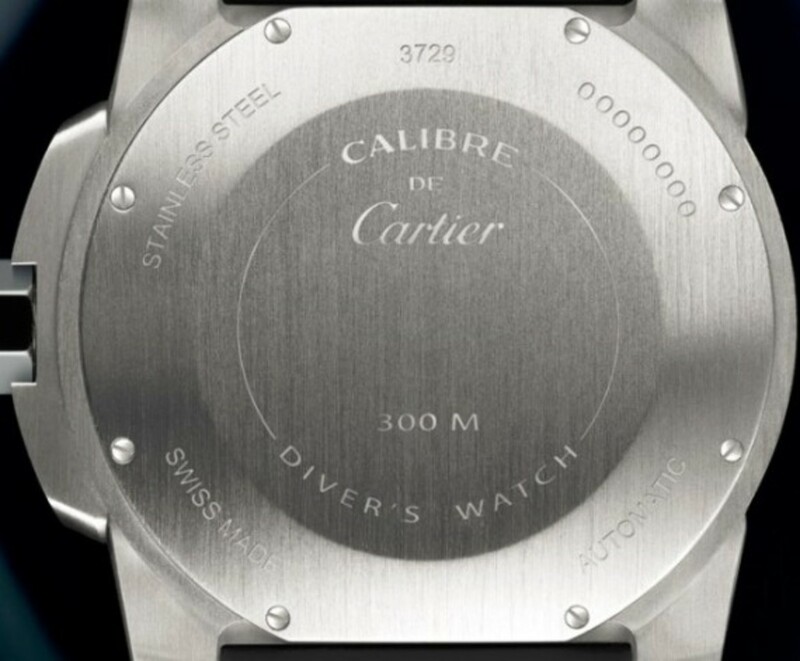 It&apos;s fitted with a unidirectional turning bezel and Super-LumiNova on the dive-time indicators and small seconds chapter ring. 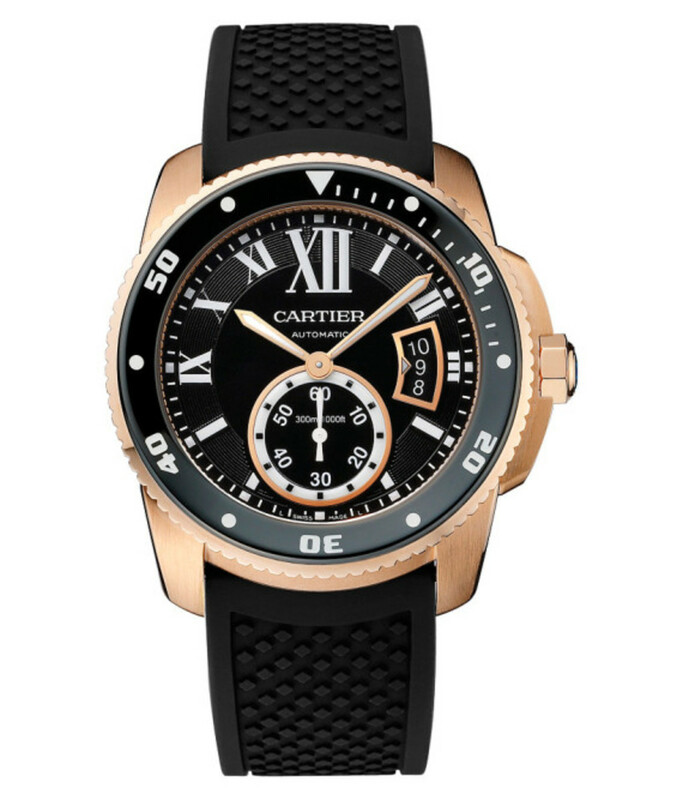 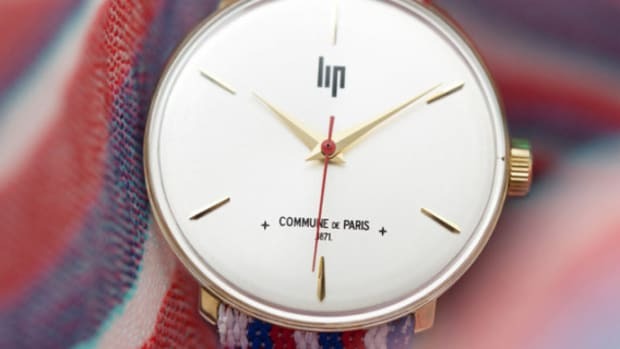 The 42mm steel case, which is offered in an alternate rose gold color, has brushed and polished surfaces for a distinct, elegant look, and features water resistance rated to a thousand feet. 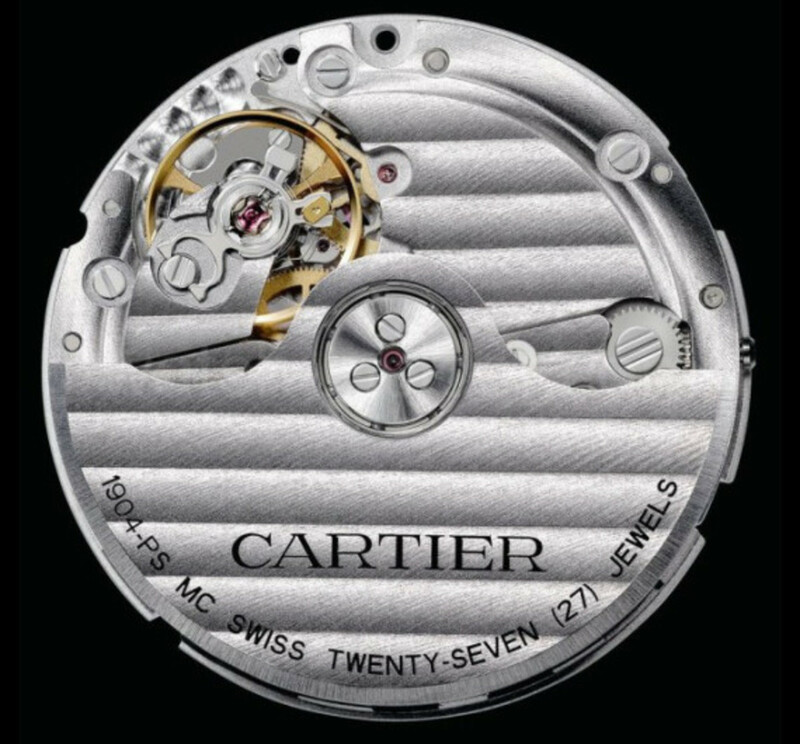 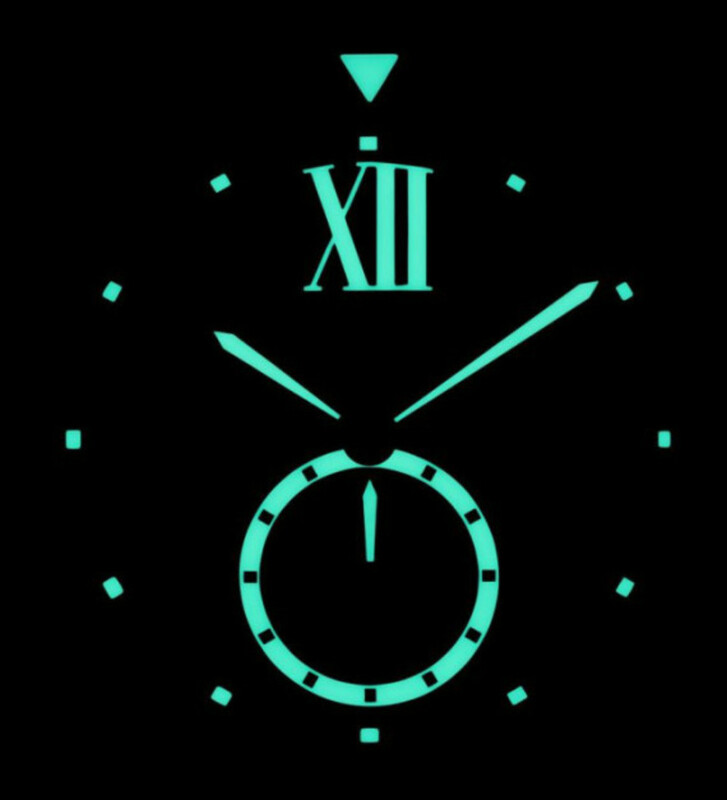 The watch is powered by a Cartier in-house automatic 1904-PS MC caliber with 27 jewels, and a power reserve of 48 hours. 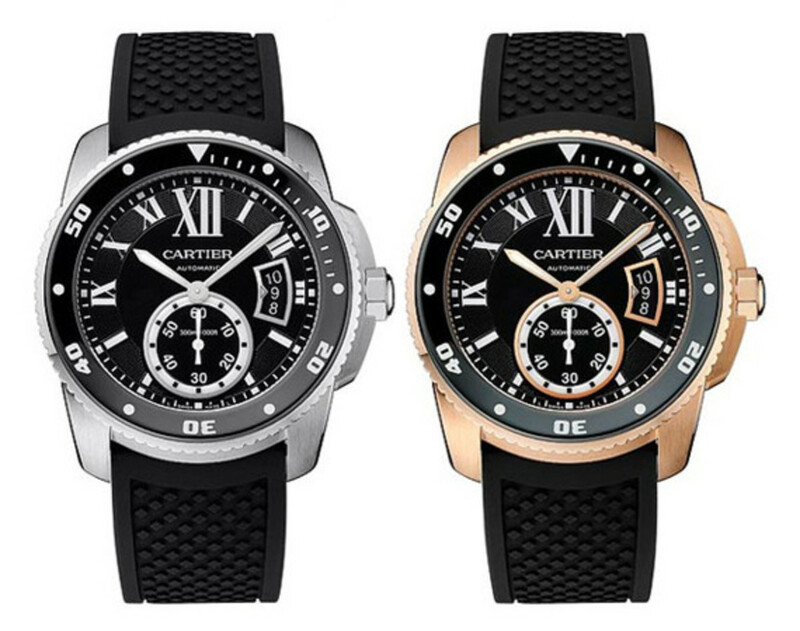 It&apos;s available with a black rubber divers strap or a steel bracelet.